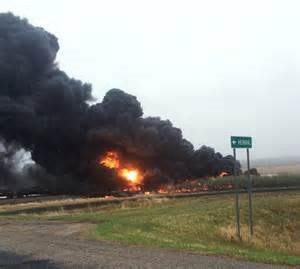 On May 6, 2015 at approximately 0800hrs, NRC Special Operations, formerly Specialized Response Solutions (SRS), received notification from BNSF Railway Company (BNSF) of a crude oil derailment and fire near Heimdal, North Dakota. Upon notification, SRS coordinated internal resources for the response as well as personnel from several NRC locations. This notification resulted in SRS closing or reducing staff on several projects that were ongoing across the US. The initial crews mobilized form Colorado, Minnesota, Texas and Washington. 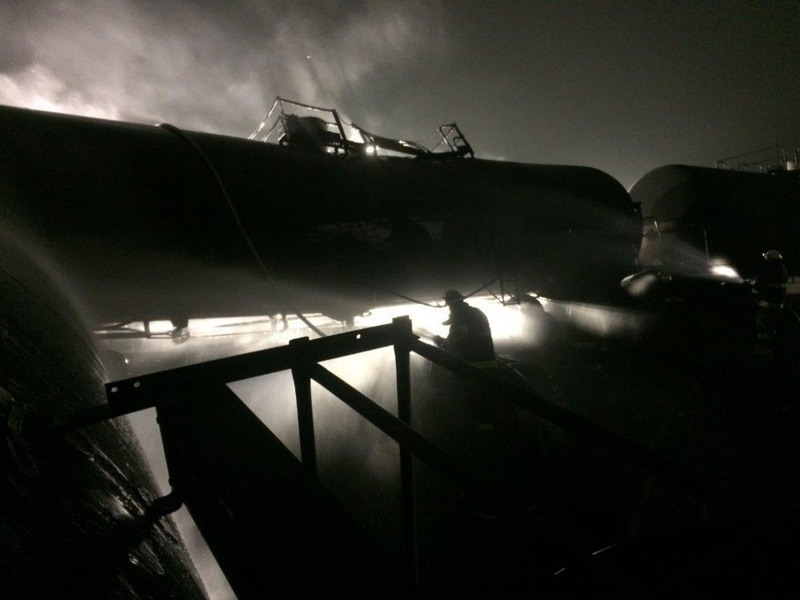 Shortly after 1500 hrs, the team made the initial entry and observed 6 crude oil cars that were derailed and several fires in and around the tank cars. 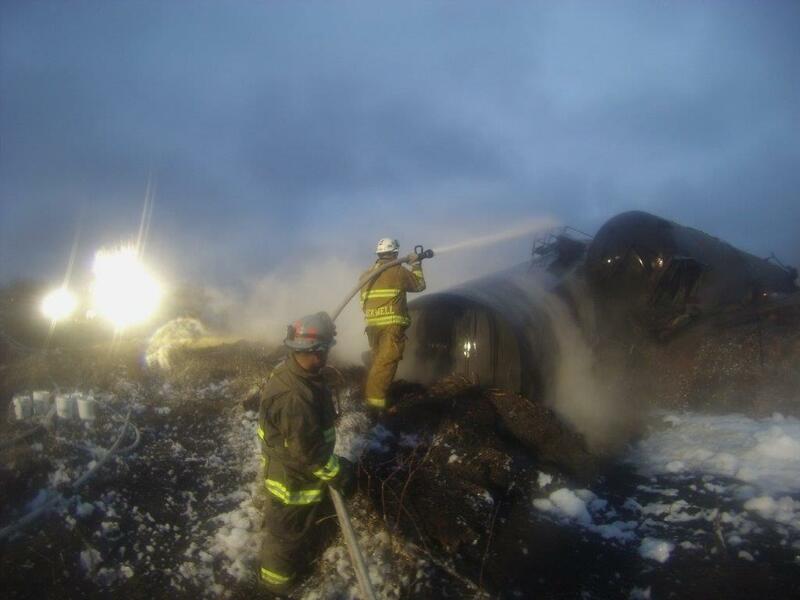 Upon completing the initial damage assessments on all of the tank cars that were involved in the incident SRS and BNSF personnel briefed the incident command and was granted authorization to set up the BNSF owned fire suppression equipment and to begin cooling, suppression and wrecking operations. SRS and BNSF took over command of the fire suppression and cooling operations and received approval to begin the firefighting efforts at approximately 1830 hrs. The initial attack was to control some pool fires that were heating the cars on the South side of the tracks. This operation went well and was 80% successful with controlling the pool fires with a very small amount of foam that was applied with high expansion equipment. This thick foam blanket was allowed to run between the cars and provided the protection for the crews to engage in a more aggressive cooling and extinguishment plan. The crews continued to cool cars and deal with small flare up fires through the evening until BNSF and SRS confirmed all the fires were out. Once all of the fires were extinguished BNSF/SRS/NRC personnel continued to cool the tank cars until they could safely remove the product from the tank cars and transfer that material into temporary storage tanks. As the tank cars were emptied they were systematically removed from the track area under the wrecking operations. SRS and NRC worked seamlessly under the Unified Command structure (BNSF, local fire departments, county and state law enforcement, NTSB) to help mitigate this incident in a safe and efficient manner.